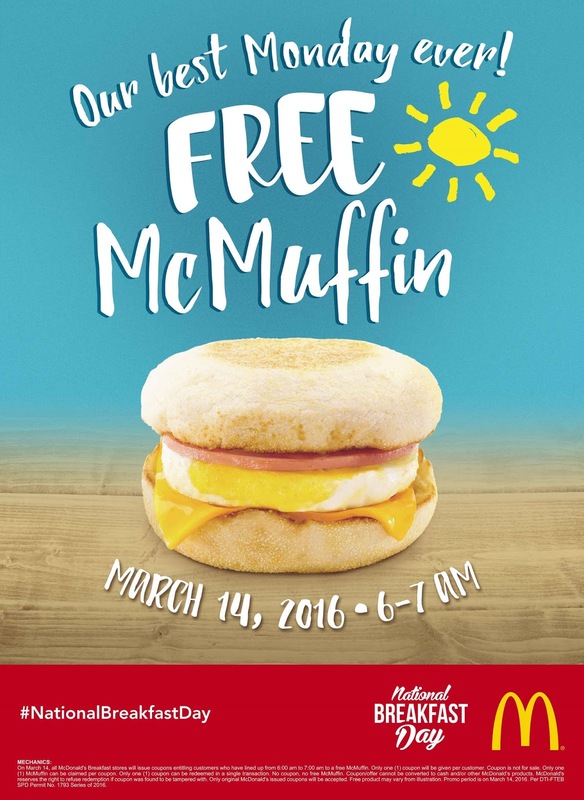 [i am a dekaphobic]: McDonald's 4th National Breakfast Day on March 14! McDonald's 4th National Breakfast Day on March 14! McDonald's invites everyone on March 14 for a ‘best Monday ever’ experience with the 4th National Breakfast Day! To get rid of the Monday blues, McDonald's offers its customers a reason to welcome the beginning of the week with bright smiles. Pumped up for your best Monday ever? 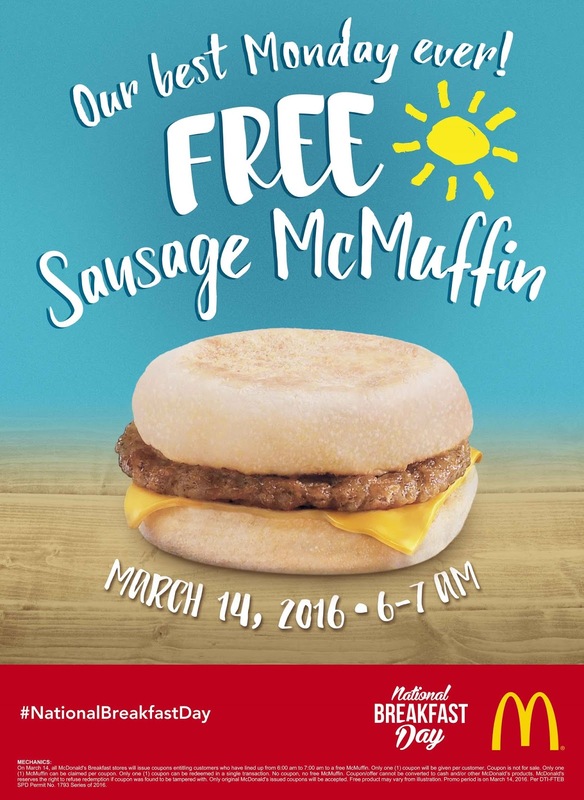 Share your excitement on McDonald’s official Facebook page, or tag @McDo_PH on Twitter and Instagram with the hashtag #NationalBreakfastDay. 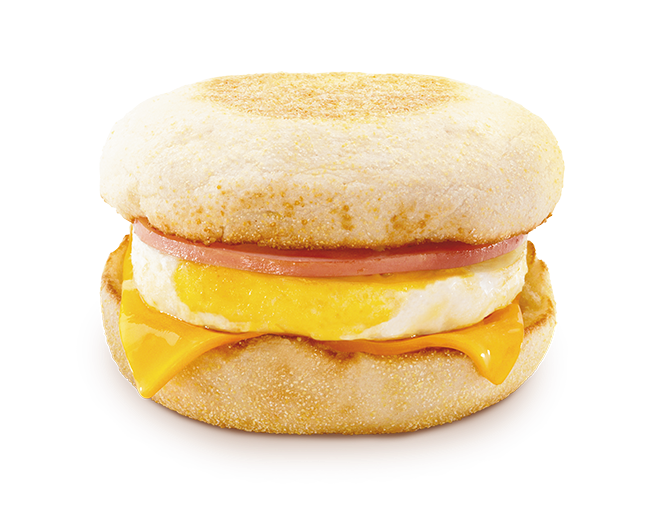 For more information on the 4th National Breakfast Day, visit www.mcdonalds.com.ph.